We’ll bring together the best English language storybooks and favorite Chinese language folk and fairy tales for a bilingual storytime. Stories will be read in English and Chinese languages. Suggested for ages 4 and up. Practice your English language skills through guided conversation in a group. Free and open to all ages. MAKE YOUR MARK and DRAW in the Drawing Lab! Come DRAW and EXPLORE with artist, Deb Putnoi. You will: Draw to music and different sounds; Draw using your sense of TOUCH as your guide; Experiment with DIFFERENT DRAWING MATERIALS; Draw on different kinds of papers and surfaces. This workshop is for EVERYONE to DRAW: young and old, experienced artists and beginners. It is for those who love to draw and for those who may be afraid to draw. The Drawing Lab is created to engage everyone in the drawing process. Join in for a facilitated discussion on the history of Chinese restaurants. 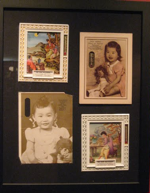 This event is presented by the Chinese Historical Society of New England in conjuction with the exhibit “Chow Mein Sandwiches, Chicken Wings, and Cheese Burgers,” which is on view in the Storefront Library through January 17. Curators of the exhibit, John Eng-Wong and Heather Lee, from Brown University, will be on hand to facilitate. Join educators from Opera Boston for an hour of special storytelling and craft workshop inspired by one of China’s most beloved stories, Madame White Snake. Madame White Snake, a powerful white snake demon, wants more than anything to become a human and experience love. After meditating for one thousand years, Madame White Snake is granted her wish. Come and learn about the many adventures that she and her maid, Lady Blue have as they begin their human lives in Hang Zhou, China. We’ll also make Chinese opera masks to take home. The Chinatown Human Development Studio is hosting free resource workshops at the Storefront Library. The sessions will be in-depth introductions to programs that provide direct assistance to Chinatown residents and small businesses. All workshops will be conducted in both English and Cantonese, and are open to the public. The Comprehensive Home Ownership Program (CHOP) of the Asian Community Development Corporation will be offering a short workshop describing its two-day First Time Homebuyer session for first time home buyers, particularly low-income Chinese families. These homebuyer education sessions will assist potential homebuyers in learning all aspects of the home buying process. Program participants will be issued a City of Boston certificate that qualifies them to apply for lower interest mortgages and government benefits, and receive one-on-one counseling service as well as updated listings on affordable housing opportunities. Learn about BCNC’s Child Care programs, including family child care homes, the Acorn Center for Early Education and Care, and the Red Oak After School program. This workshop will help attendees answer: What should I know about selecting a quality child care program? How do I enroll a child in one of the programs? What will it cost? Educational programs at AACA will then be discussed in more detail, including the three job training programs, the full range of ESOL classes, and the new programs that bridge the gap between intermediate level ESOL classes and work or job training. This workshop will cover basic curriculum and goals of the courses, eligibility, and how to apply for funding for classes. The Lawyers’ Committee for Civil Rights is a private, nonprofit, nonpartisan legal organization that provides pro bono legal representation to victims of discrimination based on race or national origin. This workshop will be a discussion of the types of cases that are handled, as well as a summary of some of the current cases. The Belin Economic Justice Project, an initiative of the Lawyers’ Committee, uses the tools of business law to promote sustainable community development. The project offers legal business education workshops, legal clinics, and pro bono representation. This workshop will focus on how to bring these services to Boston’s vibrant Chinese community. Saturday, December 12, 2:00pm – 4:00pm. Sunday, December 13, 2:00pm – 4:00pm. Come learn about Chinese Shadow Puppets through hands-on activities, guided by Storefront Library staff, using kits provided by the Boston Childrens’ Museum. We’ll be creating videos of your puppet shows—so you can watch your work afterwards. Drop in anytime. “We hope this will be the first in a series of “Immediate Zine” group zine-making experiments hosted by The Papercut Zine Library, in collaboration with the Chinatown Storefront Library. Papercut staffers will lead a conversation exploring the big questions of whats a zine? Where do zines come from? Why do people make them? What do they look like? If I were to make a zine, how big should i make the margins? How do I work this long-arm stapler? etc. Participants will then be asked to build themselves a page or two for a group-zine on the topic of: Free Expression. Take some time to write something up, draw a cartoon, build a collage, whatever. The results will be laid-out, photocopied and collated on the spot, giving participants a full seed-to-cabbage type of zine-making experience–plus a new zine full of original art and ideas. More. Saturday, Dec 12, 3PM art and architecture tour—LAST CHANCE! Thanks to the Boston Public Library for offering these tours to the community. Groups welcome: please contact info@storefrontlibrary.org or 617-275-8117 so we can help make arrangements. Thousands of patients with leukemia and other life-threatening diseases depend on the Be The Match Registry to find a match to save their life. Patients need donors who are a genetic match. Even with a registry of millions, many patients cannot find a match. Donors with diverse racial or ethnic backgrounds are especially needed. Asian donors in particular are the least represented in the registry, and this significantly impacts the Asian-American community because the chance of finding a match becomes even smaller. Becoming a donor is fast and easy. Come by to learn more about the registry, what being a donor means, and how you can help. Sponsored by Philips Brooks House Association, Harvard University. The mission of Hepatitis B Initiative-Boston is to help communities prevent hepatitis B among at-risk groups, such as Asian Americans and Pacific Islanders by: developing culturally and linguistically appropriate outreach materials; collaborating with existing community resources to launch educational campaigns; providing free screenings and vaccinations. On Sunday, 12/13 the Initiative will host story-time for kids at 11am, plus FREE animal balloons and informational brochures. Please stop by to learn more about what you can do to protect yourself against Hepatitis B! Saturday, December 5, 2:00pm – 4:00pm. Sunday, December 6, 2:00pm – 4:00pm. Come learn about Chinese celebrations through hands-on activities, guided by Storefront Library staff, using kits provided by the Boston Childrens’ Museum. Drop in anytime. For all ages. This event is sponsored by students of a Storytelling, Performance and Production class at the University of Massachusetts, Boston in collaboration with the Asian American Studies Program at UMass. Come out for a relaxing night of poetic performances and read something of your own! Event starts at 6:30 but be sure to come early to sign up to get on the mic. Limited space available. Friday Dec 4 6pm . (20 minute film). Here’s an event Flyer—help us spread the word. In the summer of 2001, urban planning students Beatrice Chen and Jasper Goldman, traveled to China to document the rapidly disappearing urban fabric of historic Old Beijing. Amidst observations in the hutongs (narrow lanes) and the siheyuans (courtyard houses) that are unique to Beijing and conversations with Beijing residents, they discovered an escalating debate about the endangered fate of these historic neighborhoods that extended beyond the technical issues of architecture. The people, the community, the lifestyle, the culture, the politics and economics were all central to the debate that could easily tip the scale between the preservation of a neighborhood and the demolition of a neighborhood. More. 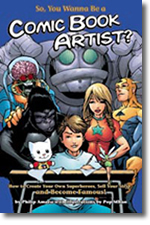 Join local authors Phil Amara and Richard Jenkins for an evening workshop on comic-making. Phil is the author of So, You Wanna Be a Comic Book Artist? 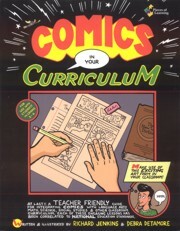 and former editor of Dark Horse Comics, and Richard is the author of Comics in Your Curriculum. Phil is also a teacher at the Josiah Quincy Elementary School, just down the street from the Storefront Library. For ages 9 – 11. Here’s a flyer for the event—help us spread the word. Come learn about the Lion Dance and its history with Adam Cheung of Woo Ching White Crane. Try on the lion head and play the drum. Asian Task Force Against Domestic Violence (ATASK) will hold three organization meetings in the Storefront Library. ATASK primarily serves Asian families and individuals in Massachusetts and New England who suffer from or are at risk of suffering from domestic violence. Clients include a range of Asian ethnic populations. ATASK embraces and represents all ages, cultures, abilities, and sexual preferences. The Storefront Library hosted a session of the AARW Writer’s Group around the conference table in the Library’s community area. Writers met to share their work and visit the Storefront Library as well. Discover mummies and the pyramids of Ancient Egypt. Try hand-on activities guided by Storefront Library staff, using exploration kits provided by the Boston Childrens’ Museum. Tour of the Storefront Library for Youth from ASPIRE Youth Leadership Program (YLP). ASPIRE is a youth development program for Asian American teen girls. YLP Participants learn about developing their leadership, building their identity, and the importance of civic engagement. The YLP meets twice a month for workshops and social events. Friday, Nov 13, 11AM-12:30PM. Talk Read Play is a public awareness campaign focusing on the role of parents as their children’s first teachers from birth to age five. The campaign provides critical information and resources to support parents in educating their young children. Friday, November 13 is Talk Read Play Day in the City of Boston. Sponsors of the campaign will be at the Storefront Library from 11AM-12:30PM to provide goodie bags and share information with families of young children. Join Common Boston to kick off a series of brainstorming sessions in the neighborhoods which will be featured for Common Boston Week ’10. Common Boston is a volunteer organization and committee of the Boston Society of Architects, working to expand public awareness of Boston’s built environment through interactive programs, and to foster collaboration between design professionals and those for whom they design. Common Boston does this through an annual weekend of neighborhood tours, open buildings, design build projects, and design displays. The next Common Boston Weekend will be in late June 2010. Events are focused around particular neighborhoods, and next year’s program of events will include Chinatown. Come join architects and community members engaged in shaping the neighborhood and share your ideas for buildings, places, and activities to highlight in June. Storefront Library preview. Thursday, October 8, 9:30AM – 11AM. All welcome. For more information, contact Enoch Liao or Sherry Dong. Storefront Library preview. Thursday, October 8 4:00 pm. All welcome. For more information and to rsvp, contact Lisette Le, Chinese Progressive Association. Join Greg Tang, author of The Grapes of Math, for a math workshop. Learn effective ways to think about numbers and practical strategies that make math easy and fun! Parents and other homework helpers are encouraged to attend. Come hear about the campaign for a permanent branch library in the neighborhood, hosted by the Friends of Chinatown Library. Candidates for Mayor and City Council at-Large, and Councilor Linehan’s office have been invited, and will have an opportunity to share their ideas. All welcome. Urban Wildlife with naturalists from Mass Audubon’s Boston Nature Center. Picture book reading, followed by nature talk and related activity. Snack provided. Voter Workshop, Chinese Progressive Association. 6 Weeks, 6 Essays – Writing class for adults, brought to you by Grub StreetHosted by the Storefront Library. Sundays, starting October 25, 6-9pm (after hours)Level: Beginner/Intermediate. $275/$250 Grub St. members. Instructor: Chris Boginski Memoir writing doesn’t have to be just about relating trauma; it’s about spinning out compelling and entertaining stories. Find those stories in your experience with these writing exercises. In this class you will write five personal essays – which may or may not be part of a longer work – between 500 and 1000 words and revise one for submission. You’ll generate a lot of material, refine your editing skills and take a fresh look at your life experience. By working in a shorter format, you’ll also find ways to tighten your prose and heighten your storytelling skills. More info: www.grubstreet.org. To register, call Grub Headquarters at 617-695-0075. 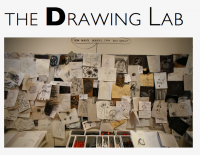 The Drawing Lab is a traveling interactive installation created by artist, Deborah Putnoi. The Drawing Lab is a space for EVERYONE to DRAW: young and old, experienced artists and beginners. It is for those who love to draw and for those who may be afraid to draw. In the Drawing Lab you can experiment with drawing as an open-ended adventure. Yoko Ono’s WISH TREE project began in 1981. She was originally inspired by her childhood memory of going to a temple in Japan where all the trees were filled with people’s wishes written on pieces of white paper and knotted around the branches of trees. WISH TREE creates a sense of collective energy and hope by alluding to the many versions of this piece that have been performed all over the world. At the Storefront Library, WISH TREE by Yoko Ono for Chinatown was initiated by Hiroko Kikuchi and Jeremy Liu as a way to create opportunities to pass along this same spirit of energy and hope. It is a site-specific piece that invites all visitors to write their wishes and hang them on a branch. The message can range from personal wishes for their future and dreams, to community or neighborhood wishes for Chinatown and the Storefront Library. This specific tree was originally used for Ono's retrospective exhibition at the MIT List Visual Arts Center, Cambridge MA in 2001. Learn more here. A photo exhibit of historic Chinese restaurants in New England that revisits the world of Chinese restaurants in downtown Providence from its heyday in the wake of World War II through its decline in the 1980s, the exhibit remembers Ming Garden, Mee Hong, and Luke’s Restaurant through the families that owned and ran them. It also explores the consumption of Chinese food and culture by the greater Downcity Providence community. The Chinese Historical Society of New England brings to Boston an exhibit that originally was on display at the Culinary Arts Museum at Johnson & Wales University in Rhode Island. The exhibit will also feature historic restaurant photos and materials from the CHSNE collection. The Chinatown Human Development Studio at the Storefront Library will offer planning, local development information, and social service referrals directly to community members. The Studio will be the direct service point for the Human Development Overlay District (HD-OD) project, where residents and small business owners will gain skills, support, and knowledge to help them take advantage of development opportunities to improve their lives. The project is a collaboration between The Asian Community Development Corporation and the Metropolitan Area Planning Council. To learn more, contact Amy Koo, Project Manager at 617-482-2380 x212. Our goal is to fill the Storefront Library's three-month calendar with activities and events that benefit the community and also draw new visitors to Chinatown. We’re seeking partners from within Chinatown to publicize the significant civic and cultural resources that already exist in the neighborhood. We’re also seeking partners new to Chinatown, in order to forge new connections. Offering your organization’s program in the Storefront Library will bring positive attention to your role in the community, and show your support for this temporary cultural and civic use of space. In particular, we are seeking organizations that currently provide educational and community programs consistent with a public library, such as ESL and computer classes, reading groups, screenings, talks, meetings, and events. Download a one-pager about partnering your organization with the Storefront Library. Contact Leslie Davol for more information. Volunteers are needed to help run some of the Storefront Library's programs. Go here for more information.